Document Logistix is a Microsoft Gold Application Development Partner. All our products are developed using Microsoft development tools. We design and test Document Manager (DM) for compatibility with current (still supported by Microsoft) Microsoft Windows versions (32 and 64 bit), Microsoft Internet Explorer and Microsoft SQL Server. For the best user experience our DM version 5 product is of course fully compatible with Windows 10 using both Edge and Internet Explorer 11 and will continue to be supported as new releases become available. Konica Minolta has developed a focused practice to help identify and solve business problems that are preventing your organization from realizing gains in efficiency and productivity. Our trusted advisors work with you to provide the customized ECM solutions that will revolutionize your enterprise content management, collaboration, workflow, case management, security and records retention policies. CBM Archives Co. is a dynamic, high tech document management firm headquartered in Corpus Christi, Texas. Founded in 1992, CBM Archive's primary mission is to bring document management and imaging technology to businesses. CBM offers the complete document management solution including office/business hardware, software, and support of imaging systems, local area networks (LANs), and wide area networks (WAN). Digital Business Solutions (DBSC) is an information technology and consulting company headquartered in Ankeny, Iowa. Our primary efforts focus on providing document management and imaging for our customers. We also offer traditional business solutions including network support, web development and hosting, and database design. Scanner One, Inc. has over 26 years of experience in the Office Equipment, Scanning and Document Management business. We are based in Colorado providing solutions to meet your business requirements. We want to listen to your needs and provide the right Scanner, Capture Solution, Content management and Back end Archive/Retrieve Software package; be it a single user to an enterprise system. We have a proven track record with over 12 thousand installations. Graphic Imaging Services Inc., is a provider of Document Management solutions and services. With proven methodologies for success, we offer the ability to integrate digital and paper data into Content Management Systems. Our experience and expertise is in both documents and large format assures you the best quality image as your final record. Additionally, our Consulting Services identify the applications you use every day to be a part of the workflow and integration with Content Management. This includes best practices, eliminating deficiencies, analyzing current workflows while including client users in the process prior to implementation. 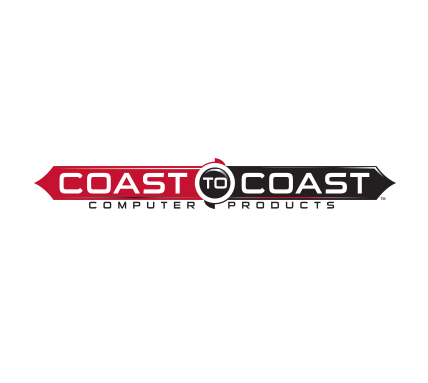 Coast to Coast Computer Products, Inc.™ has been in business over 26 years. We have been named an “industry expert” by the Better Business Bureau and given an A+ rating. We offer a vast assortment of products – from name brand toner cartridges and ink, to our exclusive Diamond Series™ toner cartridges. We are committed to our customers and are proud to offer a variety of ways to cut your budget: Free print management, free configuration guidance and discounted installations, integrations, data migrations, workflow applications, and supplies for your equipment and network. Panasonic delivers high-performing, reliable scanners for all size businesses—from smaller, front-desk scanners to larger, 90+ page-per-minute scanners, all of which offer features like double-feed prevention, staple detection, and smart image processing. Panasonic’s quality scanners, user interfaces, and excellent support enables businesses to focus on delivering reliable customer care.